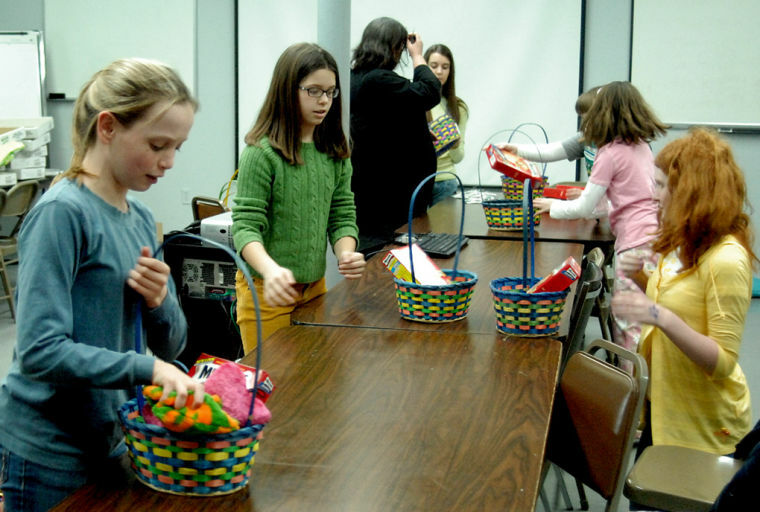 Make it a Girl Scout Easter! This Sunday, April 5th is Easter Sunday… My, the year is just flying by, isn’t it?? Do you have plans for the Easter weekend? My daughter’s birthday falls on Easter this year. I have a handful of Girl Scout themed birthday gifts that I’ve planned to hide in some of her Easter eggs this Sunday and that got me thinking… it’s not too late to plan an Easter community service project with your troop! 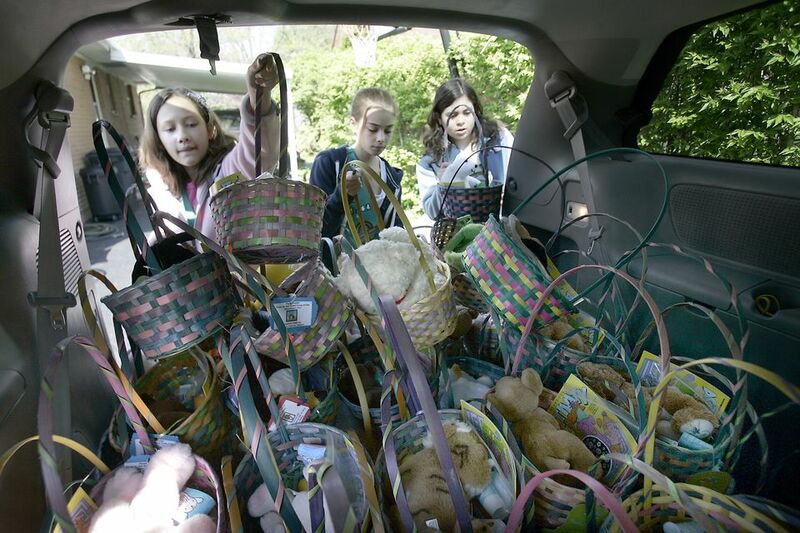 I think I’m gonna run to the dollar store this week and scoop up a bunch of baskets, plastic grass, candy, and trinkets, and my daughter and I can deliver some baskets to the local women’s and children’s shelter this weekend! The girls above are from Middletown, Ohio and you can read all about their awesome community service project here in this article from the Journal-News. Another great idea comes from this Glasgow, NY Junior troop who were working on their Bronze Award! As their Take Action project, these girls made Easter baskets for pups to help raise money for their local animal welfare association. Check out these amazing girls here at the Glasgow Daily Times. So make sure you enjoy your Easter weekend this year (and eat an extra Cadbury Egg for me while you’re at it)! Think about others at this time of year too and what you and/or your troop can do for them! 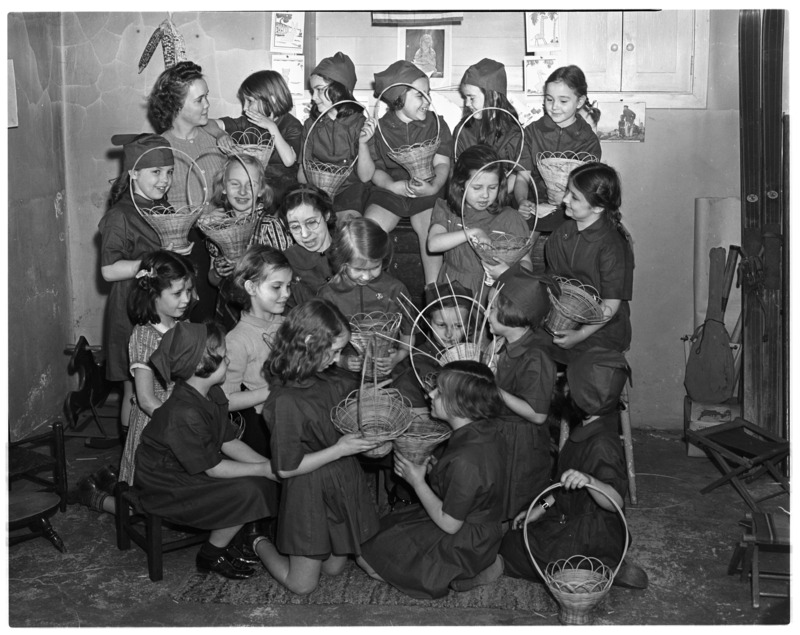 Happy Easter from the Girl Scouts of Greater Atlanta Archives Committee! Thanksgiving is only two days away and we want to continue our celebration of Native American Heritage Month here at the Girl Scouts of Greater Atlanta Archives! 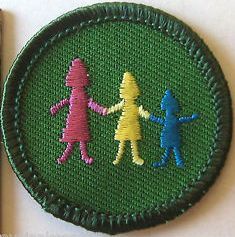 Did you know that Girl Scouts of Greater Atlanta has two Council’s Own badges about the Native Americans of Georgia? 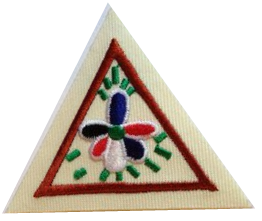 Called “Georgia’s Native People,” a badge can be earned by both Brownies and Juniors that teaches all about the American Indians that were once so prevalent here in the northern region of Georgia. 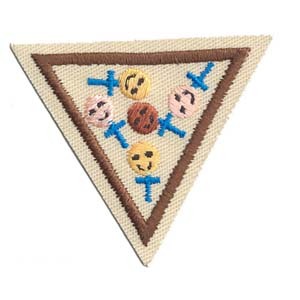 The Brownie badge features a traditional Cherokee Indian design, one that might have been woven onto a girl’s dress using quills or beads. 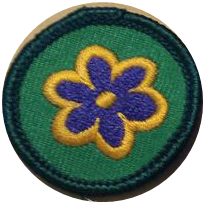 The Junior badge also features a traditional Cherokee design, a flower that a girl might bead into her moccasins. Both badges focus on the history, traditions, and culture of the Native American Cherokee Indian tribe and help girls find out what it was like to be a girl who lived as one of Georgia’s First People. Both of these badges are available in your local Girl Scouts of Greater Atlanta Badge and Sash Store now! 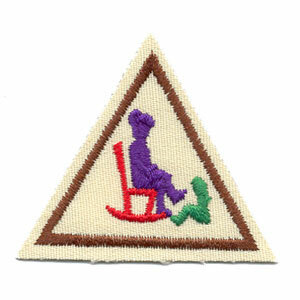 If you and your troop is interested in earning this badge, you can download a pdf version of the requirements here for the Brownie badge, and here for the Juniors. If you have any questions about either of these badges or would like to check out one of the several resource boxes pertaining to this badge that we have available in the Resource Center at the Mableton Service Center, please contact us or stop on by!